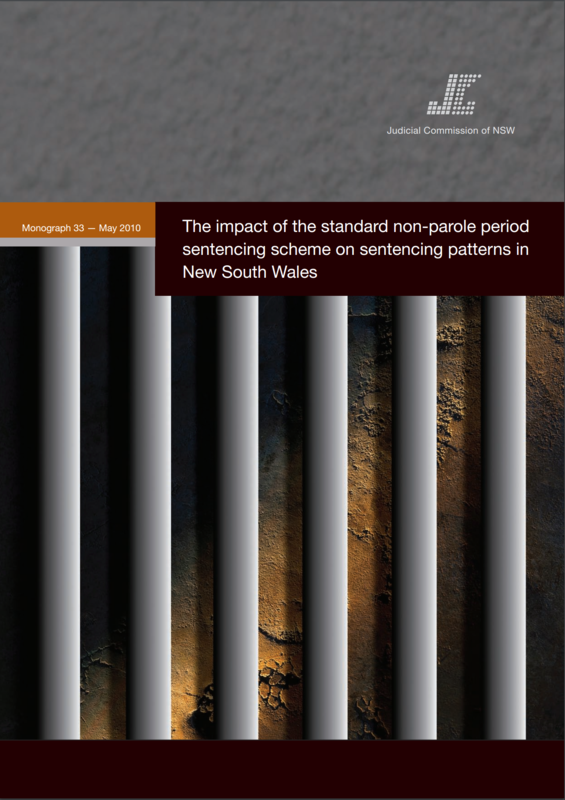 This study investigates whether, since the introduction of standard non-parole periods in February 2003, the use of full-time imprisonment has increased, the lengths of non-parole periods and head sentences have increased, and greater consistency in sentencing has been achieved.The study also examines appeal results for standard non-parole period offences. The findings of this study confirm that the statutory scheme has generally resulted in a greater uniformity of, and consistency in, sentencing outcomes. It also confirms claims that there would be an increase in the severity of penalties imposed and the duration of sentences of full-time imprisonment.